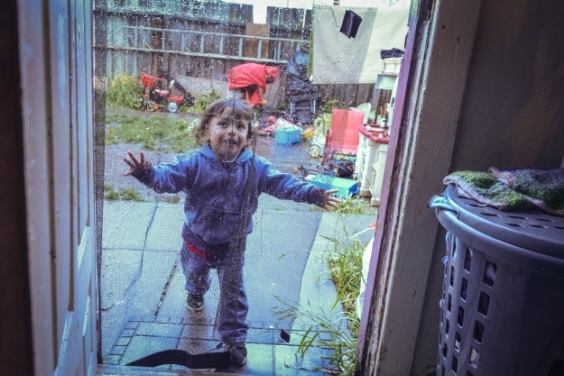 Dominique, 2, walks in the door of his home on the outskirts of San Francisco, CA. 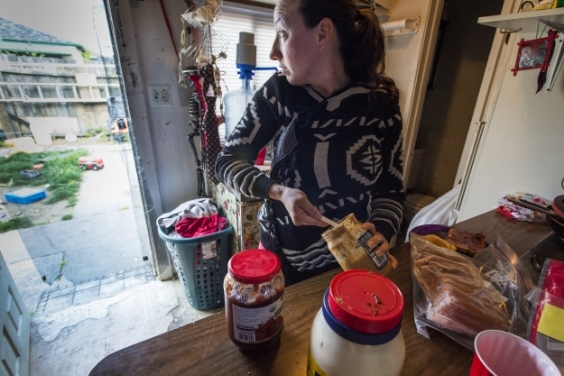 Amanda, 27, prepares the lunch boxes for her 3 children. There is no proper kitchen in her home, only a hotplate. The refrigerator is located in a separate garage. 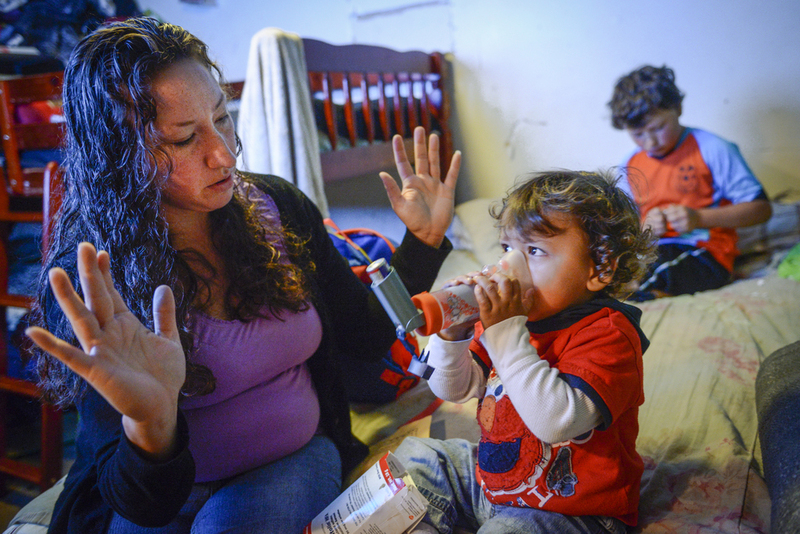 In South San Francisco middle class neighborhood where Amanda and her family have been living since 2007 cost of housing has increased dramatically in the last several years. 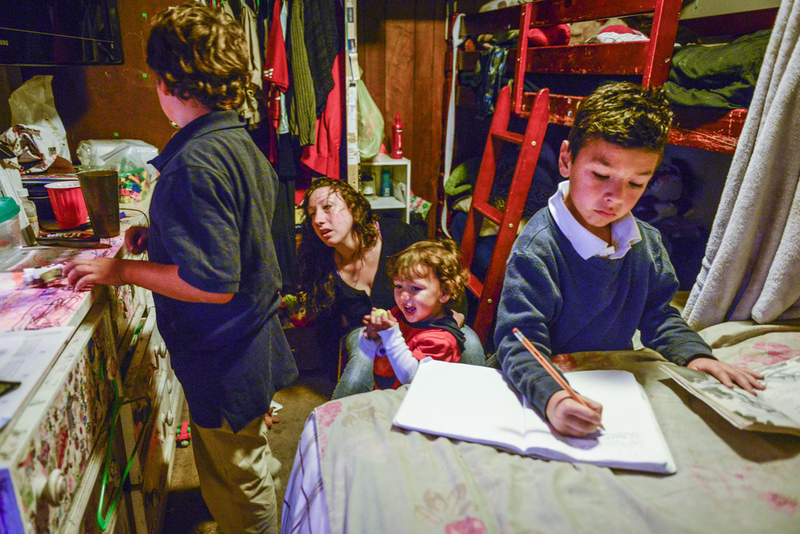 Mateo, 7, finishes his homework while Amanda helps Dominic and Christopher get ready to go to school. The studio they live in is so small there is no room for a table. The kids do their homework on their bed. Christopher, 8, watches TV. He has been diagnosed with ADHD. Amanda helps Dominic take his asthma medication. Dominic and his father Felipe clean the back yard. 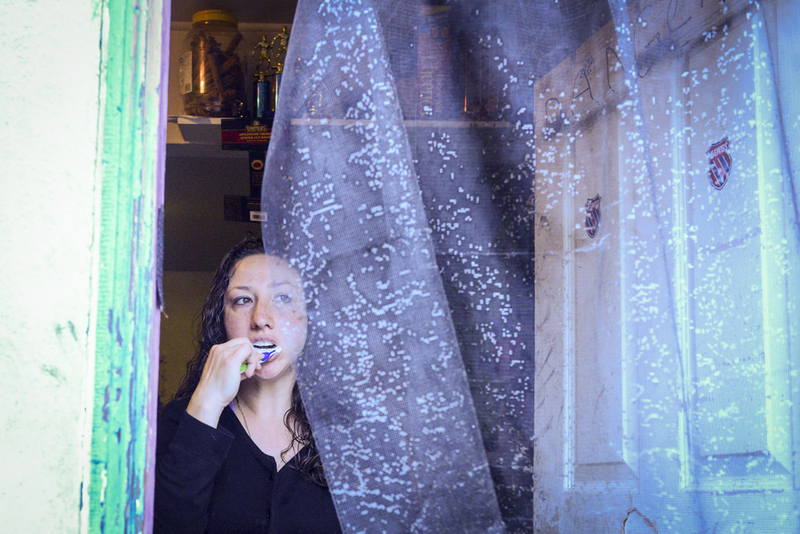 Amanda brushes her teeth while getting ready to go to work. She does not have running water in her home. Amanda volunteers at a Habitat for Humanity Greater San Francisco building site to complete the 500 sweat equity hours that qualify as a down payment to purchase a Habitat for Humanity home. 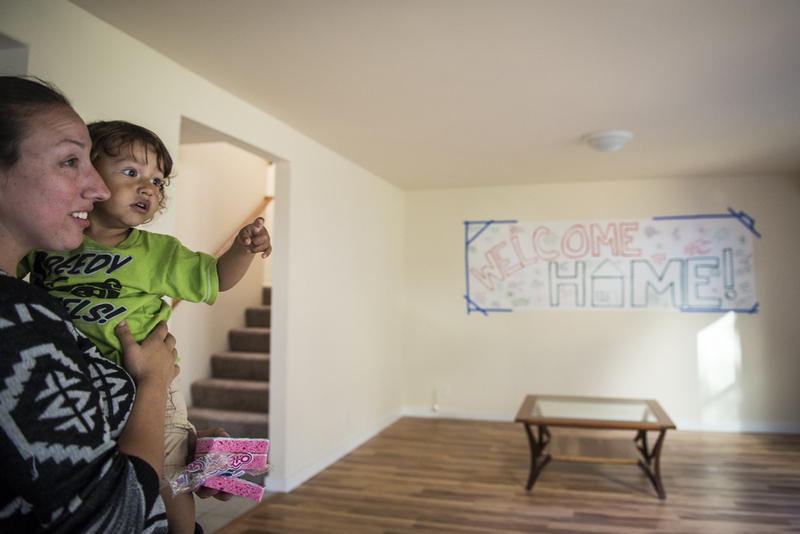 Habitat offers qualifying families 0% interest mortgages. 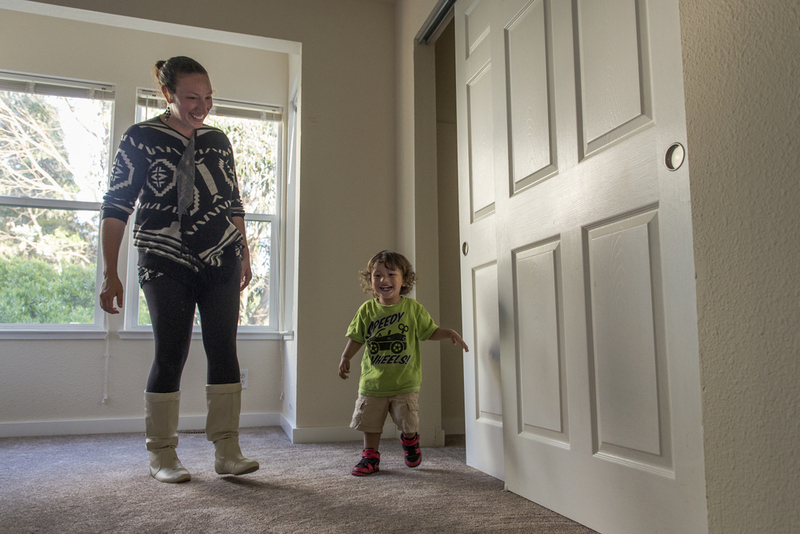 Amanda and Dominic in their new house. 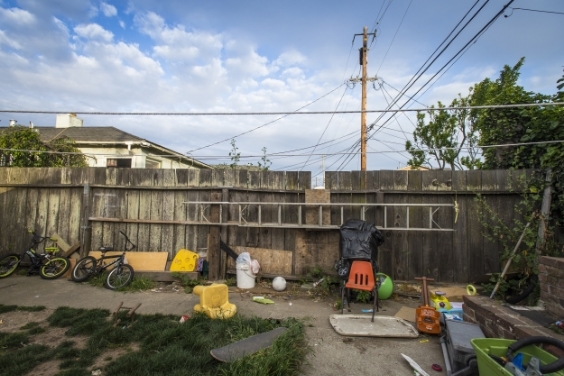 Amanda and Dominic explore their new home in San Francisco Bayview-Hunters Point neighborhood. 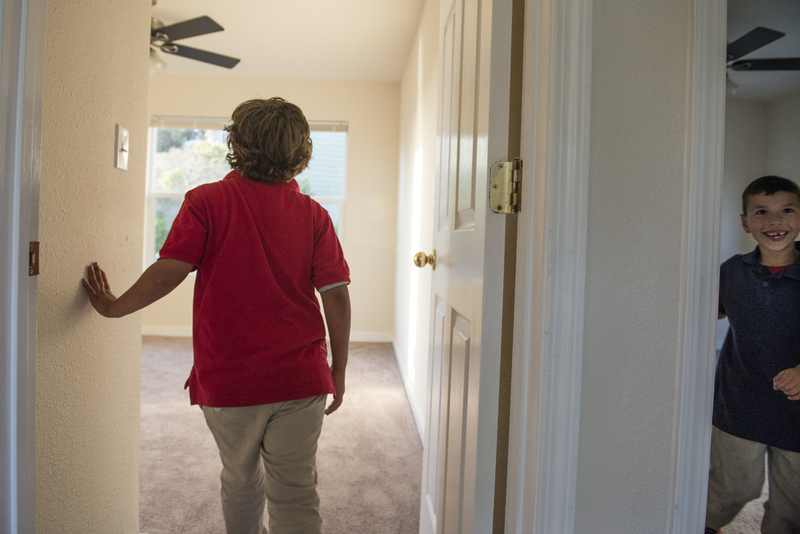 Christopher and Mateo explore their new home for the first time. Dominic looks out the window of his new home on moving day.